What is Html.NameFor helper method? 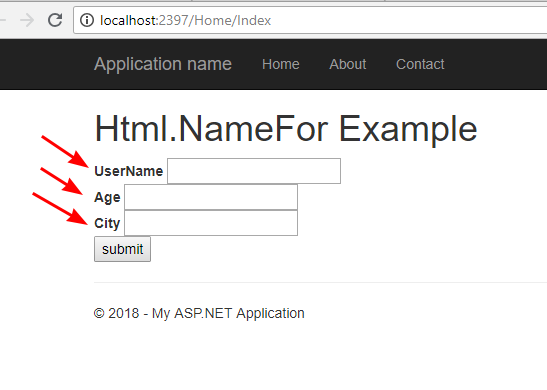 How to Use Html.NameFor Method in MVC? Html.NameFor extension method prints the name of model properties.